Have you ever tried Vegan Lettuce Wraps? They are seriously my favorite thing to munch on when I want something quick and light, yet satisfying (a close second is my Lightened-Up Artichoke Spinach Dip). They are also a great starter to for Pineapple Fried Rice or Vegan Pad Thai. I love food with versatility and lettuce wraps fit the bill. You can fill them with veggies, tofu, tempeh, grains, beans, legumes and more. Just prepare the filling, wrap them up and side them with your favorite sauce. Easy peasy! 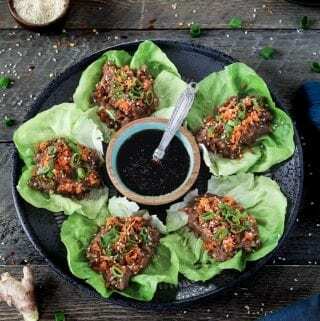 Well, today I get to share these Delicious Umami Lettuce Wraps from Sam’s Turnbull’s new cookbook Fuss-Free Vegan: 101 Everyday Comfort Food Favorites, Veganized. You might already follow Sam’s blog It Doesn’t Taste Like Chicken and if you don’t, you might want to head over there. Her recipes are approachable, comforting, familiar, super tasty and most importantly, fuss-free! You’ll get 101 tried and true recipes that will fit into your daily life. They call for simple everyday ingredients and have easy to follow instructions. Lots of weeknight winners in there! There are SOO many tasty options to choose from, and I’ve already made the Heavenly French Toast, Absurdly Cheesy Broccoli Soup, and these Umami Vegan Lettuce Wraps. I was very pleased with the results and I’m ready to dive into more. I’m totally eyeing the Boss BBQ Veggie Burger, Creamy Rosé Linguini, and Sinfully Rich Chocolate Cake. Sam also shares her expertise on how to create a fuss-free vegan pantry, fridge & freezer, along with basic kitchen tools you’ll need. So, you won’t need to buy anything fancy to start cooking from her book. She even has great tips for eating vegan on a budget. I almost forgot to mention the mouth-watering photos! There’s one for every single recipe too. You’ll want to make everything you see, trust me! 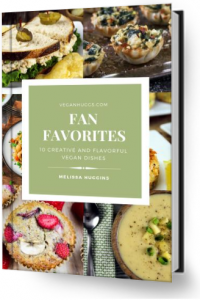 So, whether you’re already vegan, vegan-curious or just someone who loves wholesome and comforting food, I feel Fuss-Free Vegan would fit perfectly into your kitchen. 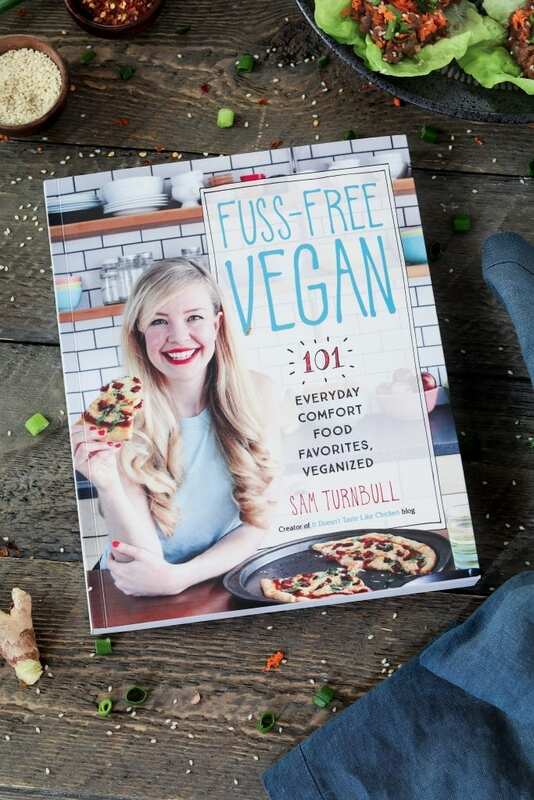 Eating vegan doesn’t have to be complicated or stressful, and Sam’s book is the perfect example of that. 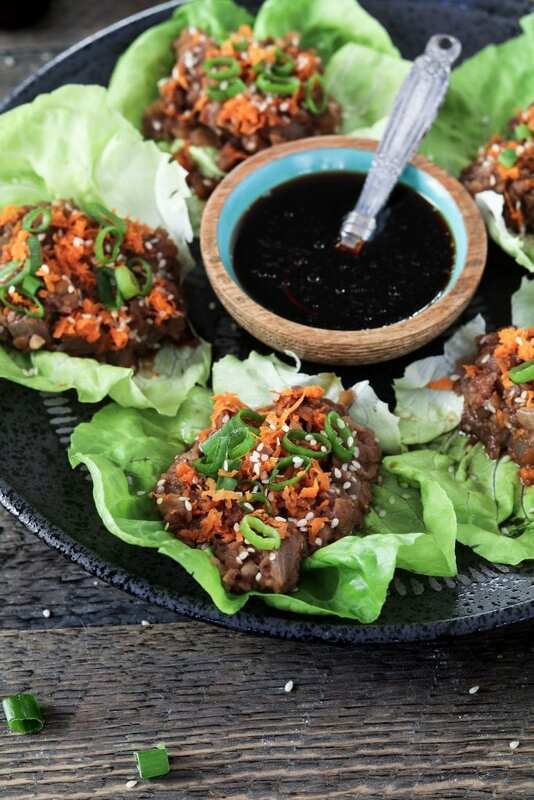 If you make these Vegan Lettuce Wraps, I’d love to hear what you think in the comment section below. It would really make my day. You can also follow me on Instagram and share your creation with me. Just tag me @veganhuggs and hashtag #veganhuggs so I don’t miss it. For the lentils, heat the oil in a frying pan over medium-high When hot, add the onion, garlic, and ginger and sauté for about 5 minutes, until the onion softens and begins to brown. Stir in the lentils and then the vegetable Turn the heat to medium-low, cover, and simmer for about 10 minutes, until all the broth is absorbed and the lentils are cooked. Stir in the walnuts and about half of the sauce mixture, or to taste. 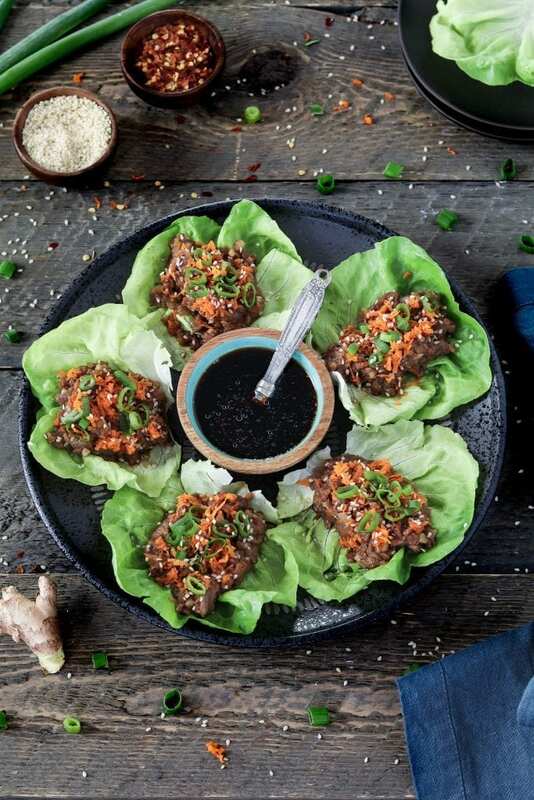 To serve, take a leaf of lettuce, fill it with the lentil-walnut mixture, top with carrot, green onions, and sesame seeds, and spoon as much sauce as desired over it all. Fold it like a taco and munch away! The sauce is very tasty and you could use it for many other things besides just this. When I made the lentils, the consistency came out like refried beans -could be because I accidentally soaked the lentils before cooking them. But the walnuts gave it a good crunchy texture. I would make this again using more veggies – carrots, water chestnuts, peppers, etc, and cutting down the amount of lentils or substituting quinoa. I like to be able to see the veggie colors like the traditional lettuce wraps. Very delicious wraps. This is exactly what I was looking for.